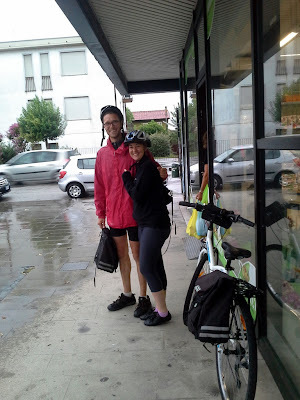 Veloce ® cycling and bike rental company : A summer rainy pick up in Venice don't stop Veloce's customers during cycling vacation in north of Italy to Slovenia. A summer rainy pick up in Venice don't stop Veloce's customers during cycling vacation in north of Italy to Slovenia. An usual summer rainy storm yesterday in Venice accompanied for few hours pick up activities of standard hybrid bikes provided for rent to our customers that are enjoying their cycling vacation in north of Italy to Slovenia (and back).